Here is the situation. It works on some tanks, but not on others, with no consistent pattern. See example below *Sorry if the pictures come out too big. Not sure how to adjust on Imgur. Edited by MakersMike, Mar 18 2019 - 08:17. 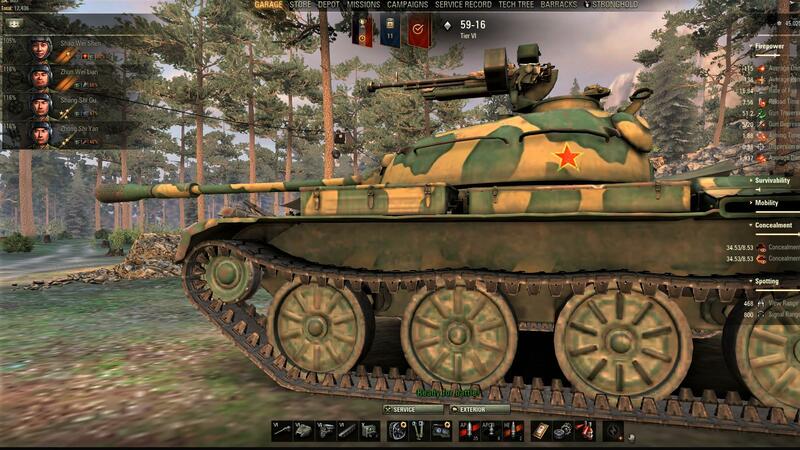 As you can see, the Type 59 concealment number increased when natural cover was applied, the Type 64 concealment number remained the same. 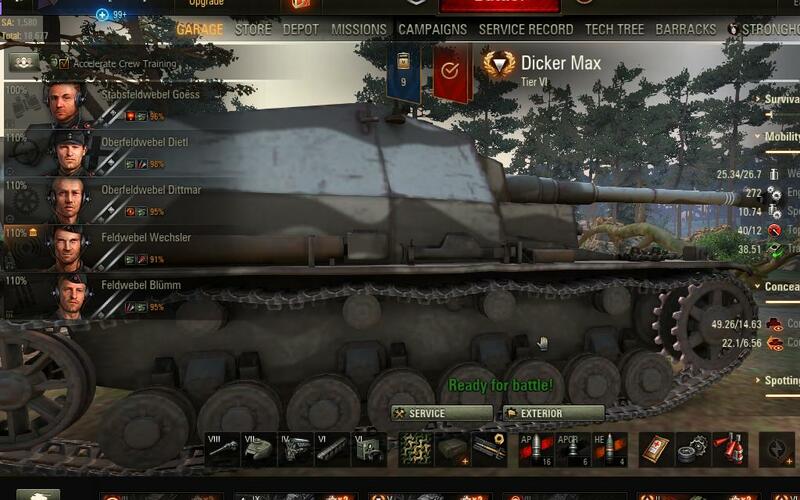 No I'll post the Jagdpanther and the Dicker Max and you get the picture. 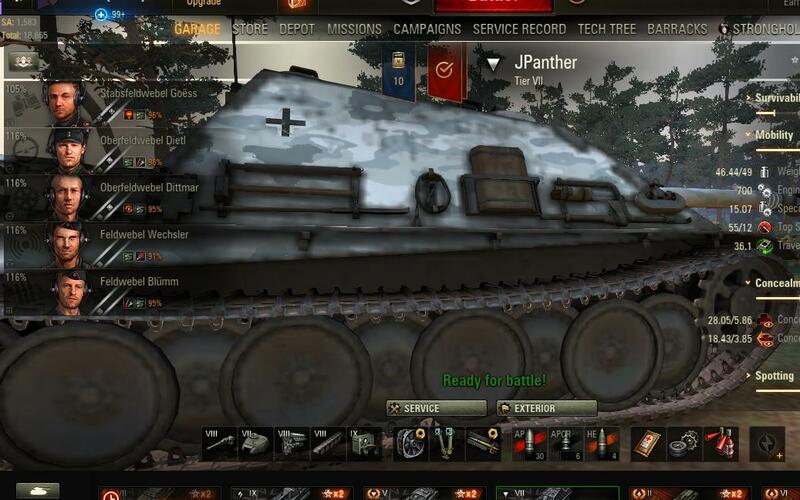 Again, JPanther was increased, but the Dicker Max did not change. Only when I win them and they're free. But I noticed this, so went and applied them to see the differences. I will sometimes use the 6th sense directive for a new crew in certain situations. Other than that, I would agree that it's a waste. To be honest, improved equipment adding 2.5% is a waste on a lot of situations. I've seen people add the improved rammer to an already great reload time and it was a waste of thousands of bonds. Hmmm. 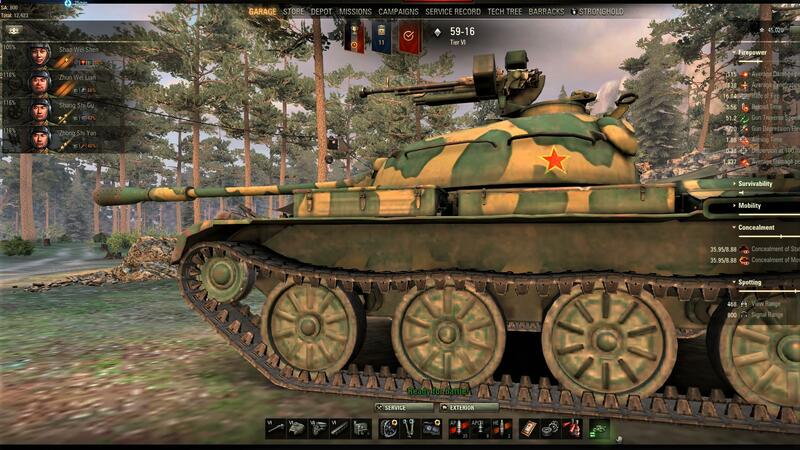 But my 59-16 has better concealment than my Type 64, and yet they let the 59-16 use it and not the Type 64? That's backwards balancing. And if that's the case, I wish wargaming would tell us this. I'll submit this thread to them and see what they have to say. Thanks for the input. It should work as they say it does for each and every tank. What ever the percentage is. I've never seen a reload percentage not work exactly as stated. A Tank Gun Rammer takes off -10%. I've never seen it "balance" that and not do -10%. Same with all equipment. But we'll see what they say. Imagine if they said, well your tank already reloads pretty fast so a gun rammer won't be allowed for that tank. Not happening. 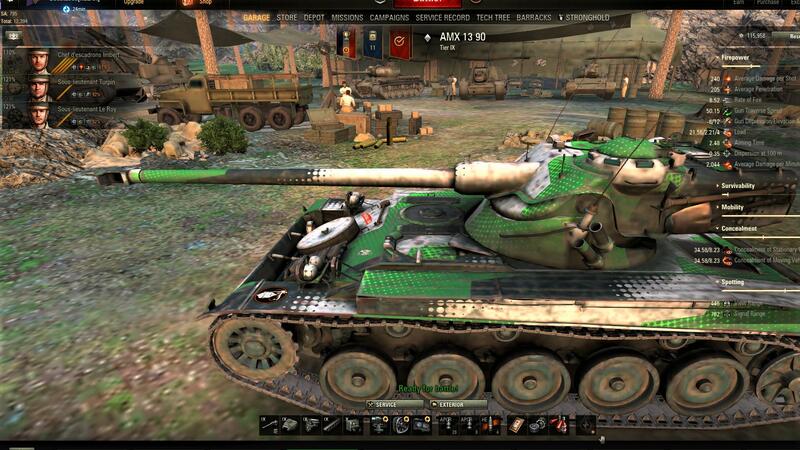 There should be no limit on any tank, it should apply to every tank the same regardless and as far as I know there is no limit to how much concealment a tank gets until you run out of ways to add it. 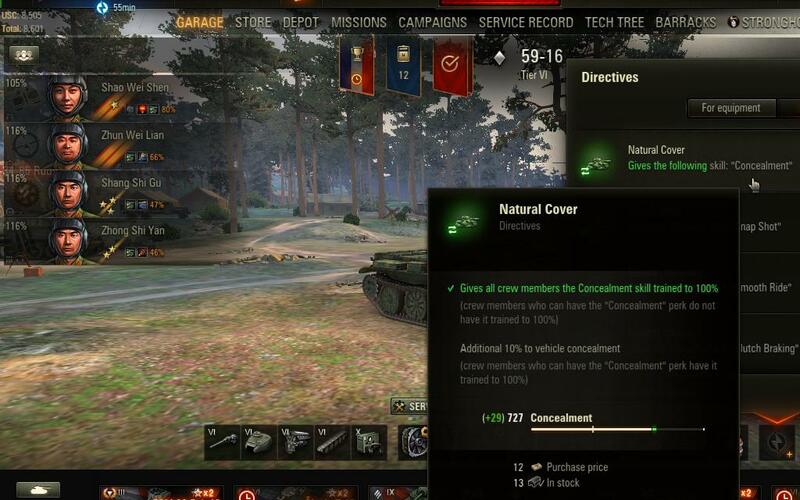 So seems fair to say that the directive is broken as you suggest although I haven't see it not work on any tank I have used it on. Doesn't it work differently if part of your crew doesn't have Concealment 100%? Yes, if they all have 100% it's supposed to just add 10%. If they all don't have it at 100%, it's supposed to bring them all up to 100%. But I posted a couple instances where it's the same crew basically, but one tank gets the bonus and another doesn't. Jdpanther for example got the bonus. While the exact same crew when moved to the Dicker Max did not. So even with the same crew, different tanks are getting it or not getting it. I'll see what Wargaming says. I sent the ;post to them. Bat Chat 12t got the bonus with only 2 crew members at 100% concealment. Then 1390, also a 3 man crew with only 2 at 100% didn't get anything. I will say that with every crew that all have the concealment at 100% there has been no issues. It seems to always add that 10%. So this discrepancy only happens in situations of a partial % on a crew person. But you would at least think the same crew would act the same in any tank they're in. Thanks for the responses. 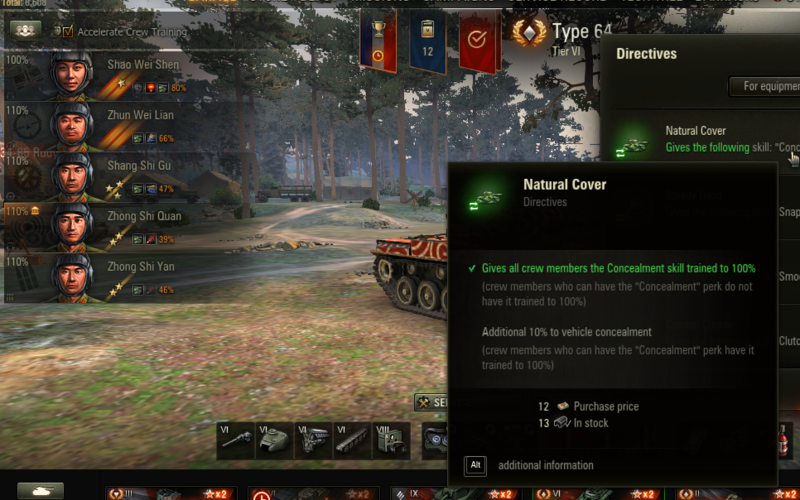 If you have any natural cover directives sitting around, put them on different tanks and see what the result is. You can just use one and move it around to the different tanks. Most of the time the only directive worth running is firefighting on tier Xs while running food. If you do well you make the bonds back in a tier X session. Also in certain clan wars scenarios, the reloading directive stacked with improved rammer and vent can get CGC reload down to 34 seconds, which is important on malinovka especially. Other than this you are kind of squandering bonds when you could save them for improved equipment for tier Xs. Edited by JunkaTheAdmirable, Mar 10 2019 - 22:12. Thanks for the information Junka. I didn't buy the natural covers, I won them in some mission so thought I'd use them up for my 401 scouting missions. That's when I noticed the discrepancy between different tanks so I just got curious about it. That reload sounds nice for the CGC. I agree the fire one is a good value for only 2 bonds that you can win back, thanks for reminding me. The only directive I have occasionally spent bonds on is the 6th sense when i started new crews on light tanks. But now I save the bonds, and just assume I'm spotted in certain situations and try not to sit in one spot like an idiot. 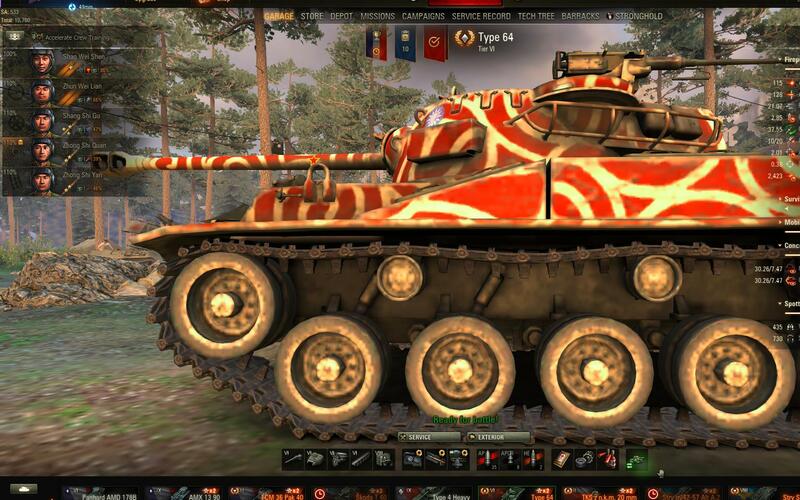 One thing to consider, if your crew has all 100% camo except 1 guy with 99% the extra camo might be too small of a number to show up (like .009). 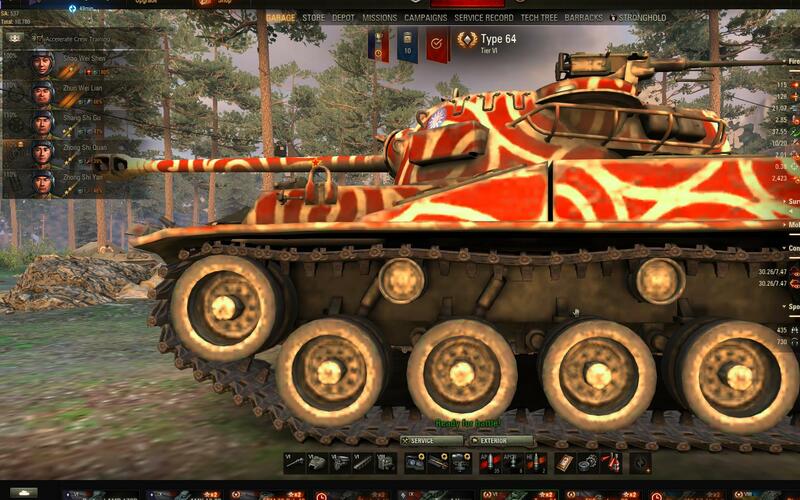 Also it adds 10% of the tanks BASE camo if you have 100% camo. It best for crews with no or almost no camo trained. Thanks RC. I wondered about that too and it could happen. But as posted above, in my 1390 the one crew member without full camo is at 61% Low enough that it should show. 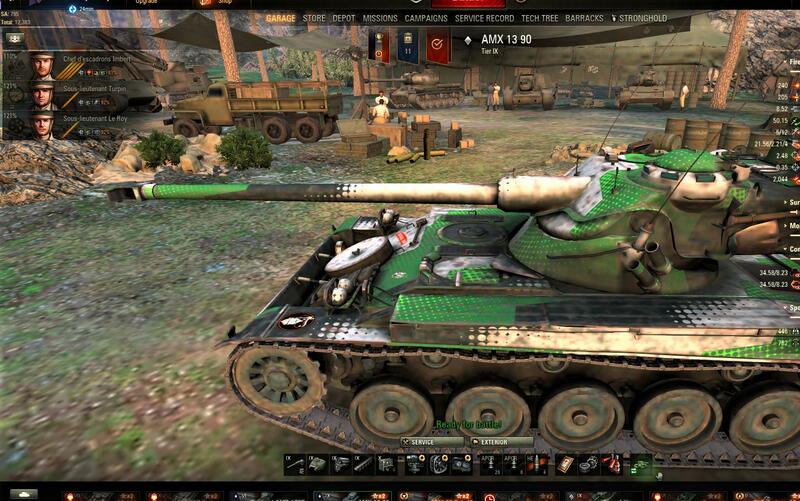 And my 59-16's one crew member without full camo is at 89% and it works on that tank. 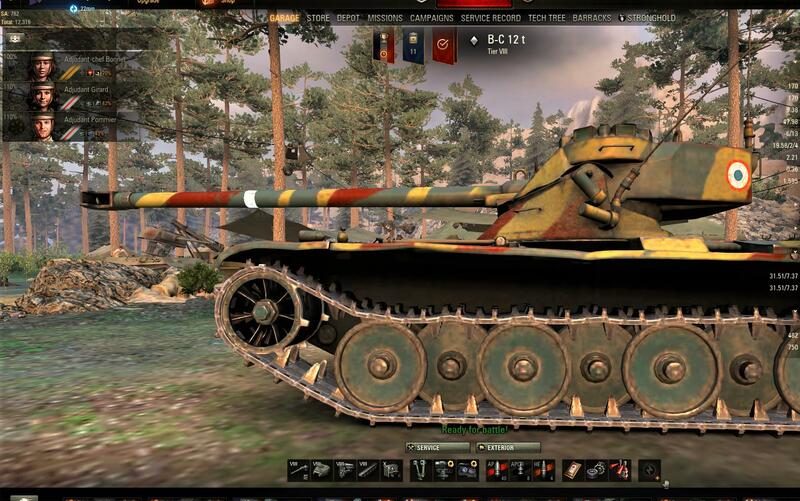 Plus there are a couple tanks that use exactly the same crew but one get's it and one doesn't. I realize I'm wasting way too much of my time for something I'll likely never use again unless I win some free ones. But I like puzzles and this is a puzzle. 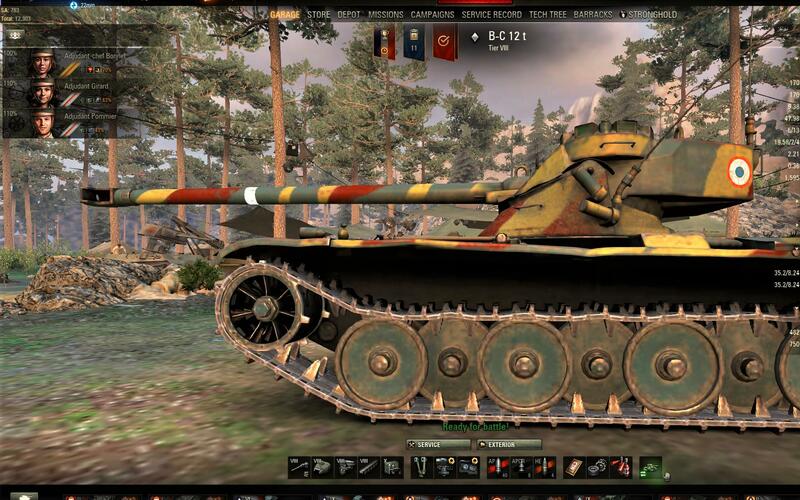 I'll let you all know what Wargaming says. I've asked them for clarification. I’ve noticed this myself and chalked it up to a client display issue. But no other guesses than what’s been said above. But all seems working properly. When hovering on the jpant you have not yet applied the directive, so it displays what it will be when applied. 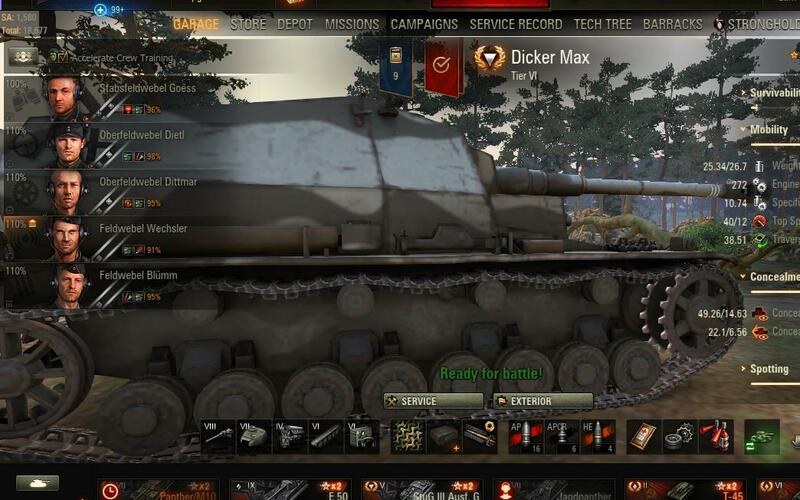 The dickermax has the directive applied so the only place displayed is in its stats.